NONE BETTER!!! Considering that card #1 is always the toughest in high grade, this one is no exception. Top of the Pops example here. None better than this low pop card of Mr. 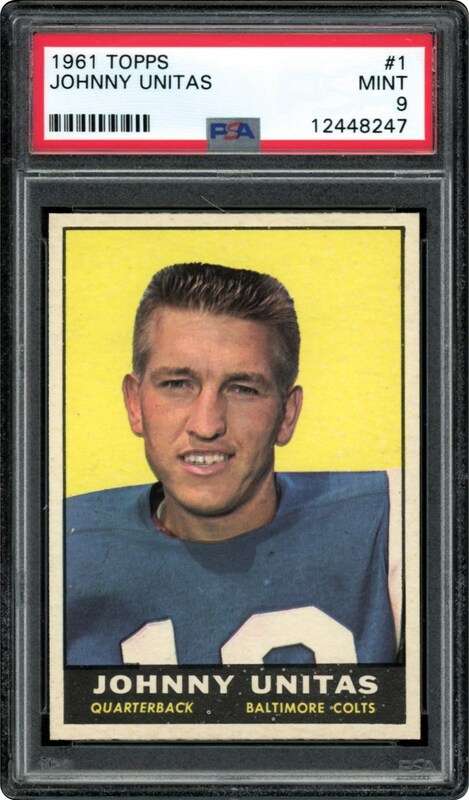 Crew Cut, Johnny Unitas. 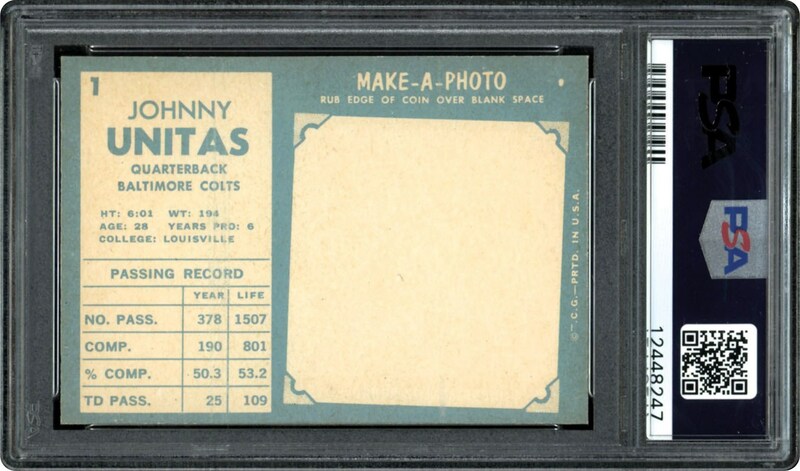 One of the best in a 1961 Topps MINT 9 holder. Go Deep with this MINT example.